I won’t go as far as saying this is a Tatroe 50 watt clone because there are some differences. However, I can say it might have been a very big inspiration. 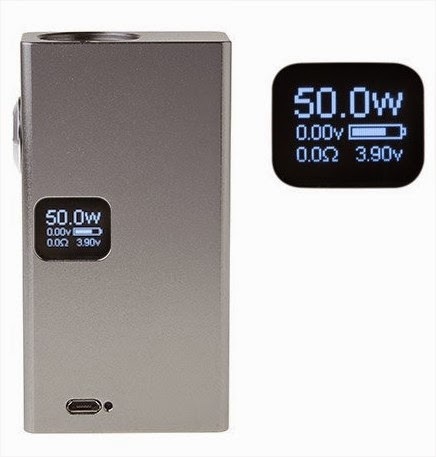 Since I bought 12 Tatroe 50 watt box mods over the last year – I have some idea how this box is going play out. Its going to be great. I love this design, the chip-set, and most of all the fire button! Will the build quality be the same? Probably not. Tatroe’s box mods are top notch and his warranty is great. Tatroe’s boxes are also 3-4 times the price – so you get what you pay for.